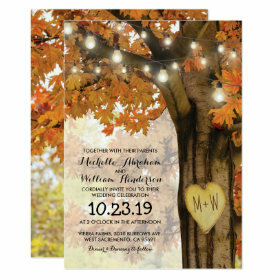 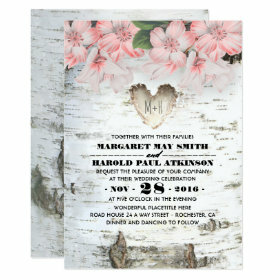 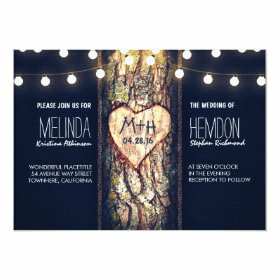 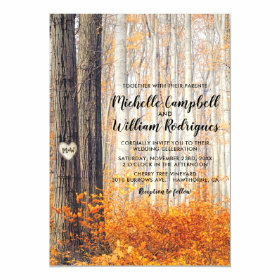 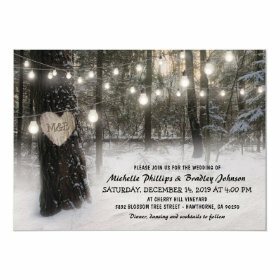 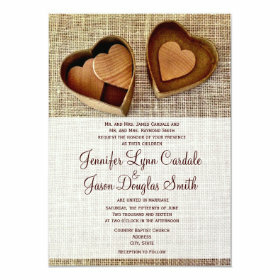 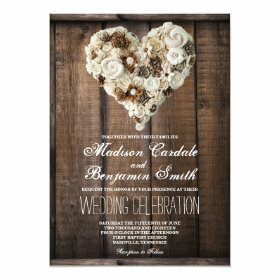 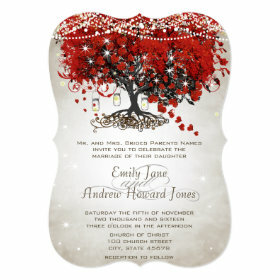 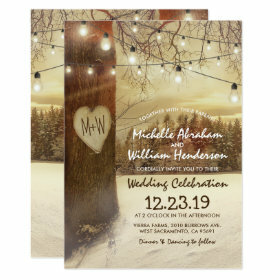 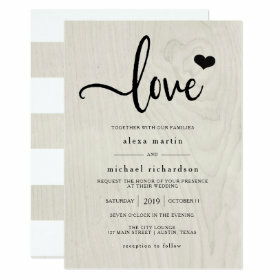 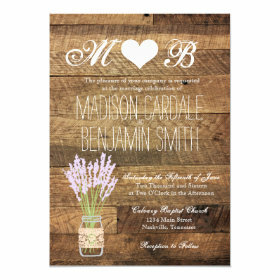 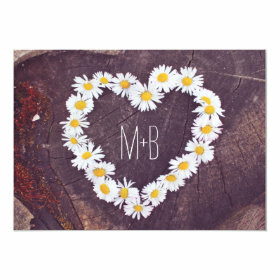 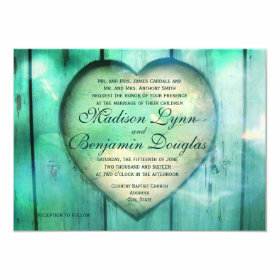 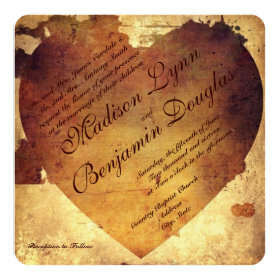 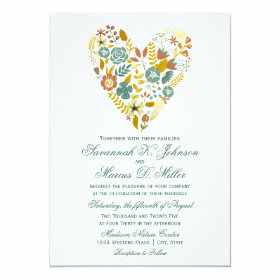 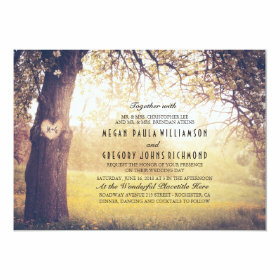 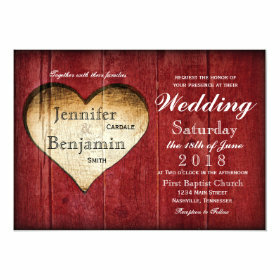 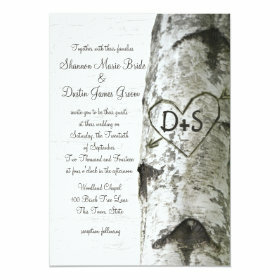 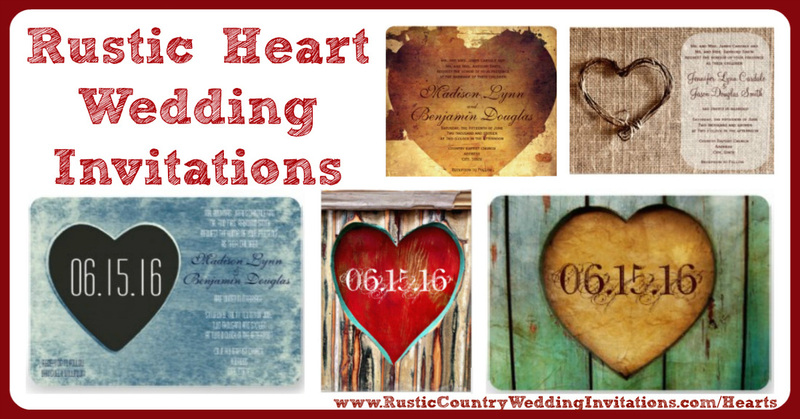 Unique heart designs for a country style wedding. 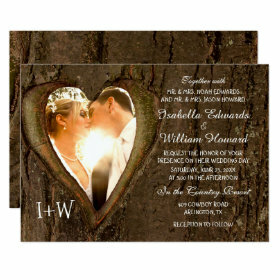 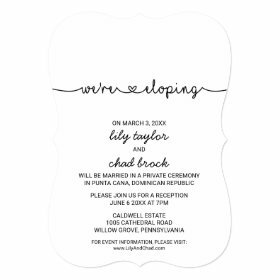 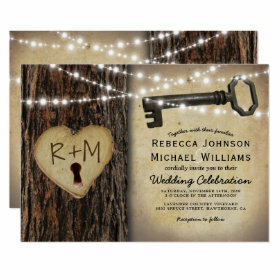 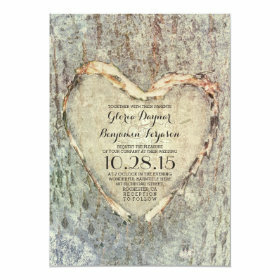 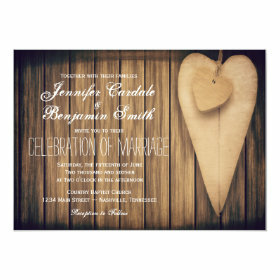 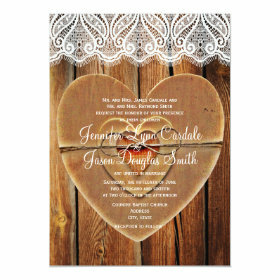 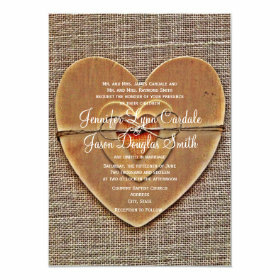 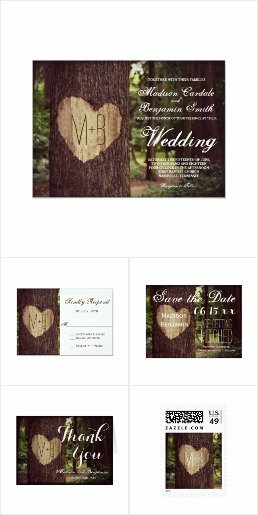 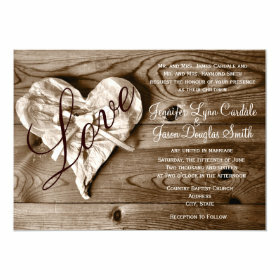 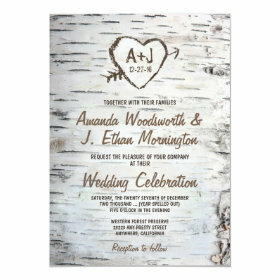 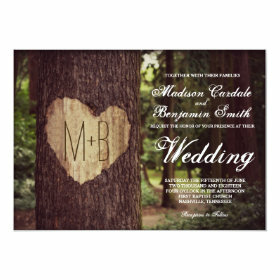 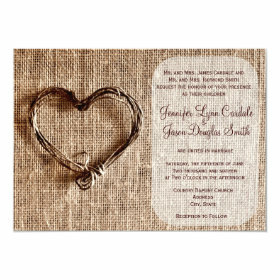 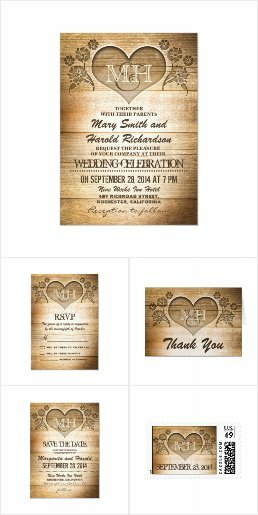 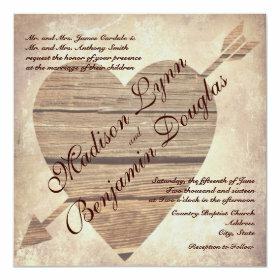 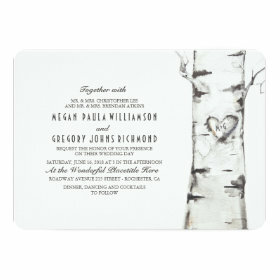 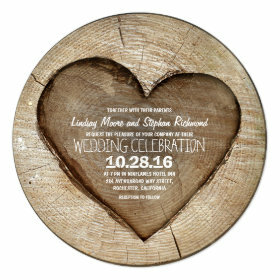 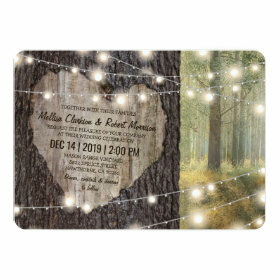 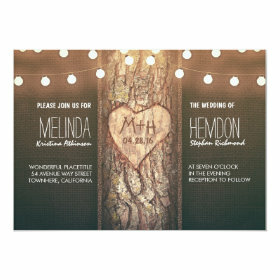 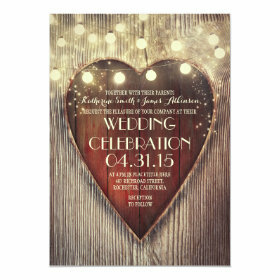 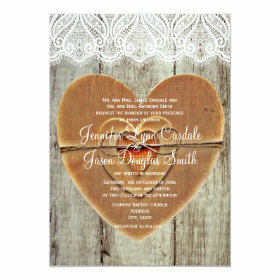 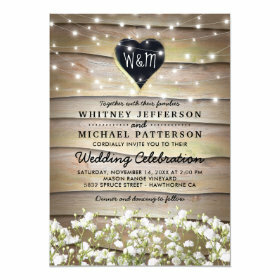 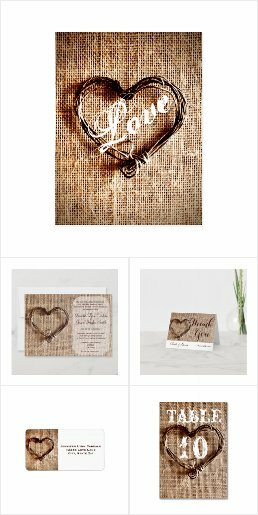 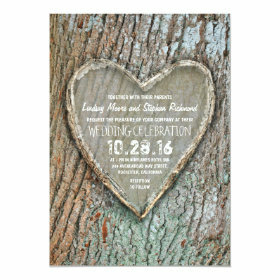 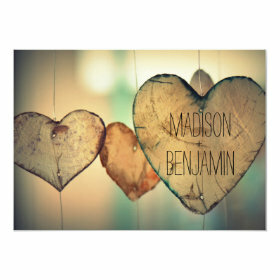 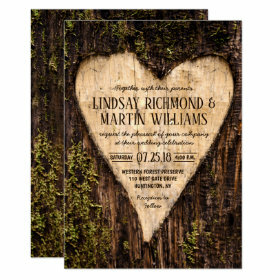 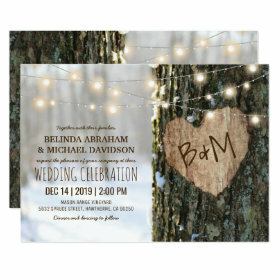 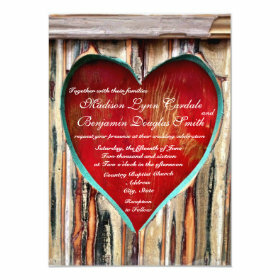 These rustic wedding announcements have a variety of heart shapes and designs using wood hearts, twine hearts, tulle hearts, and other rustic heart designs. 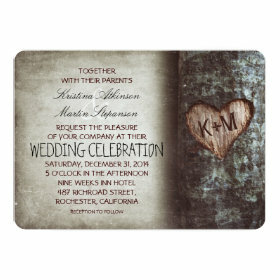 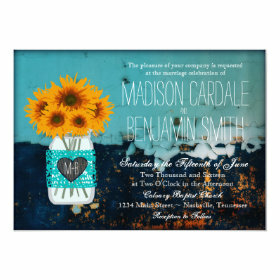 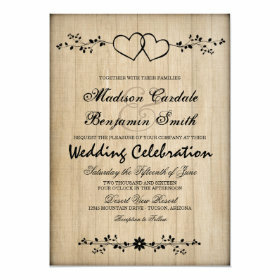 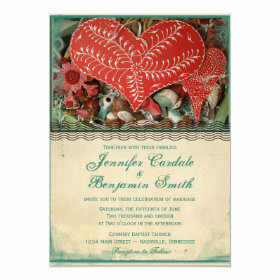 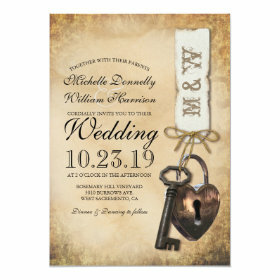 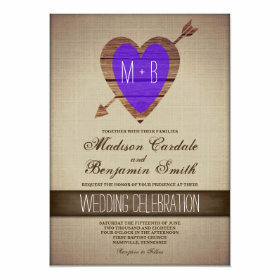 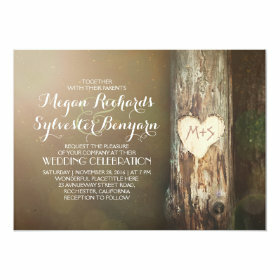 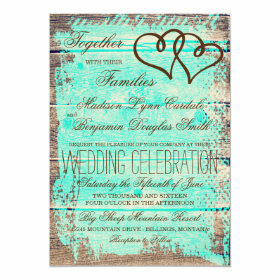 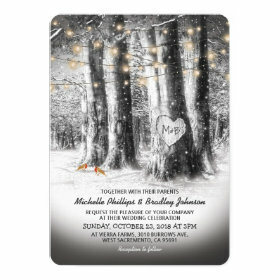 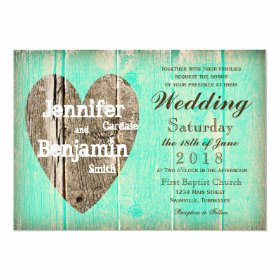 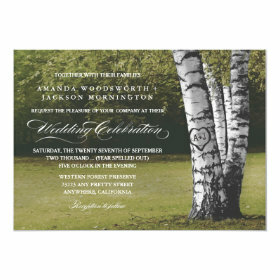 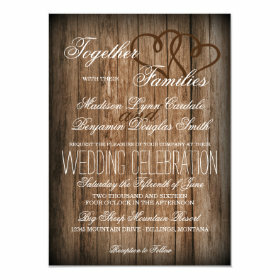 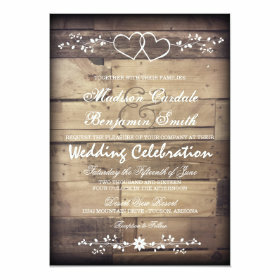 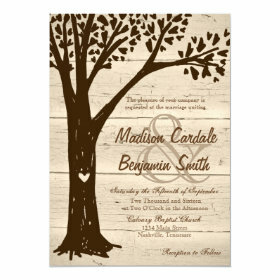 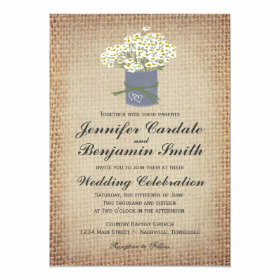 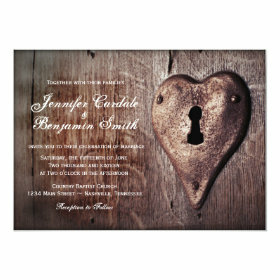 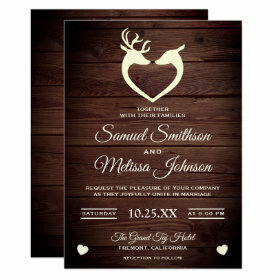 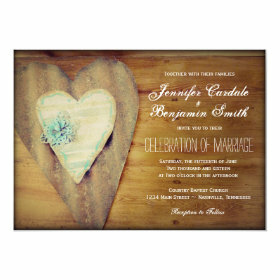 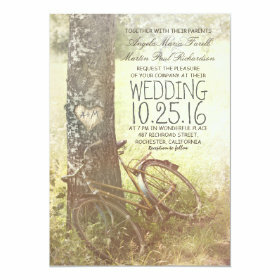 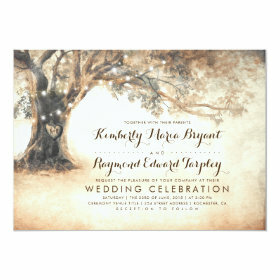 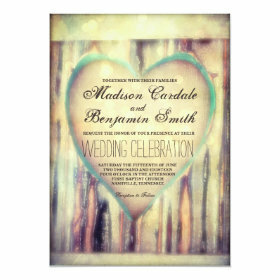 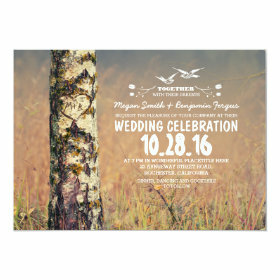 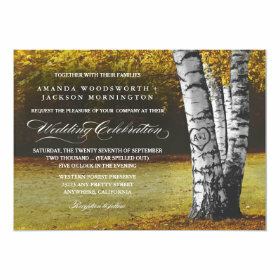 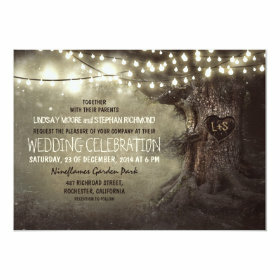 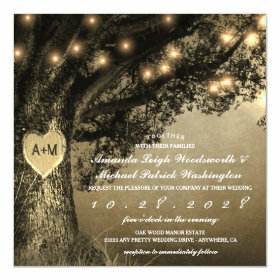 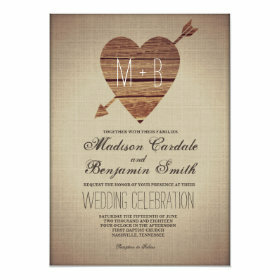 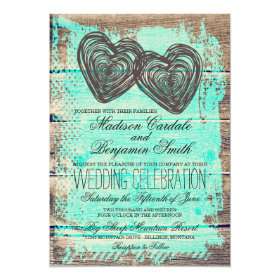 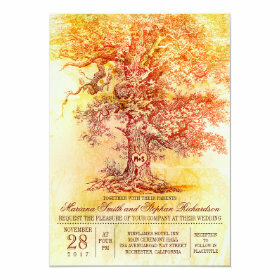 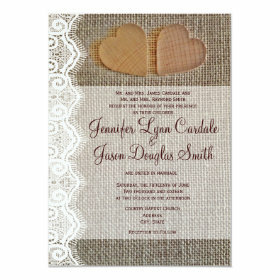 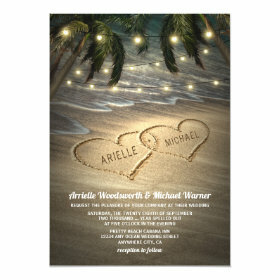 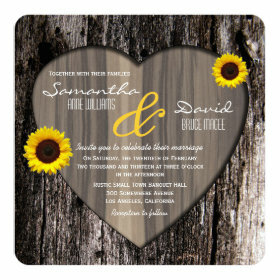 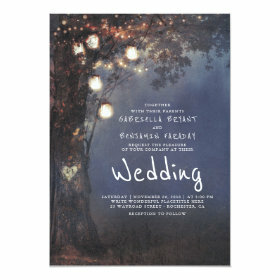 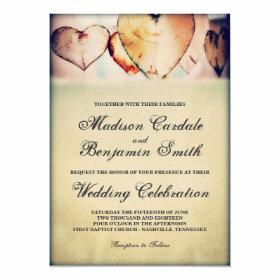 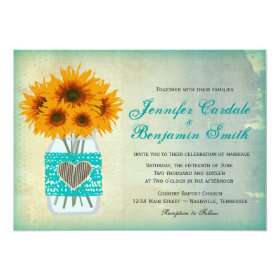 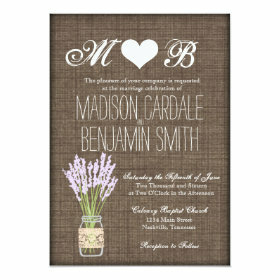 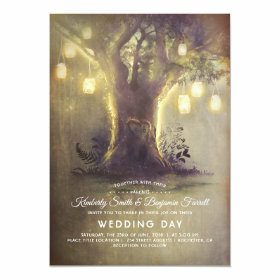 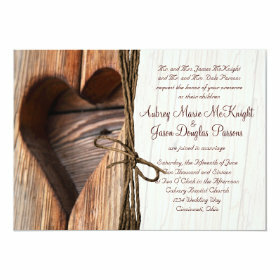 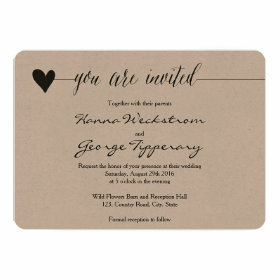 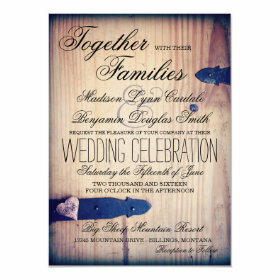 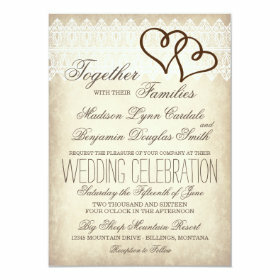 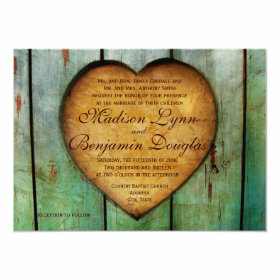 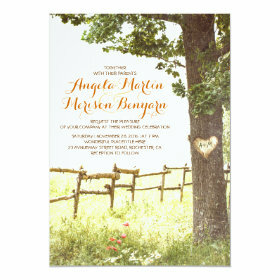 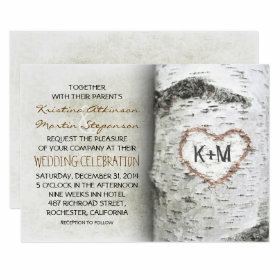 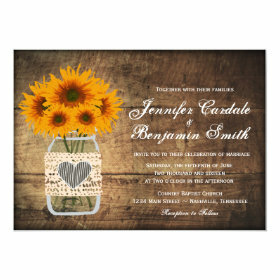 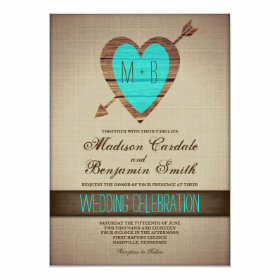 The backgrounds vary from burlap prints, barn wood prints, and other rustic country backgrounds. 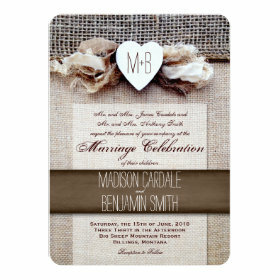 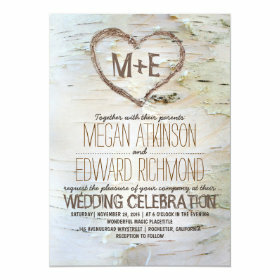 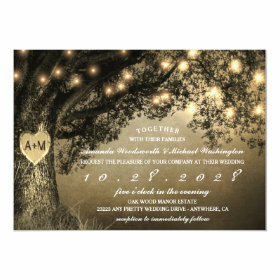 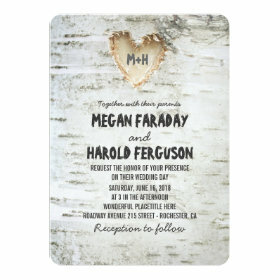 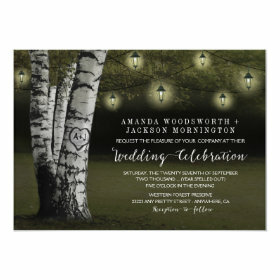 Any twine, burlap, or wood is just a printed design. 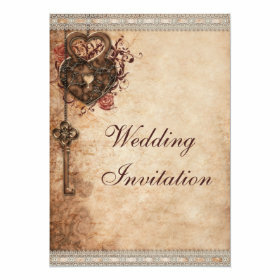 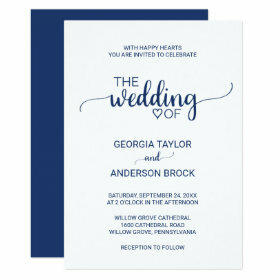 It is printed on a flat invitation. 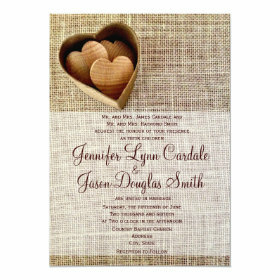 It is not actual burlap fabric or actual wood.